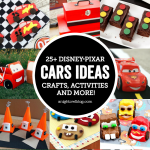 Excited about Disney•Pixar’s Cars ‏3? 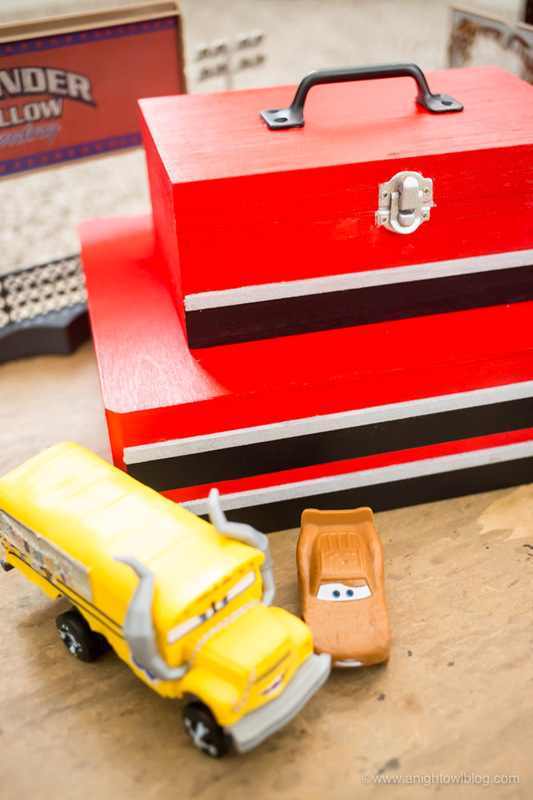 Visit Amazon, the Ultimate Pit Stop for Cars 3 merchandise and whip up this adorable DIY Kids Toolbox Toy Box to keep them in! Hi friends! 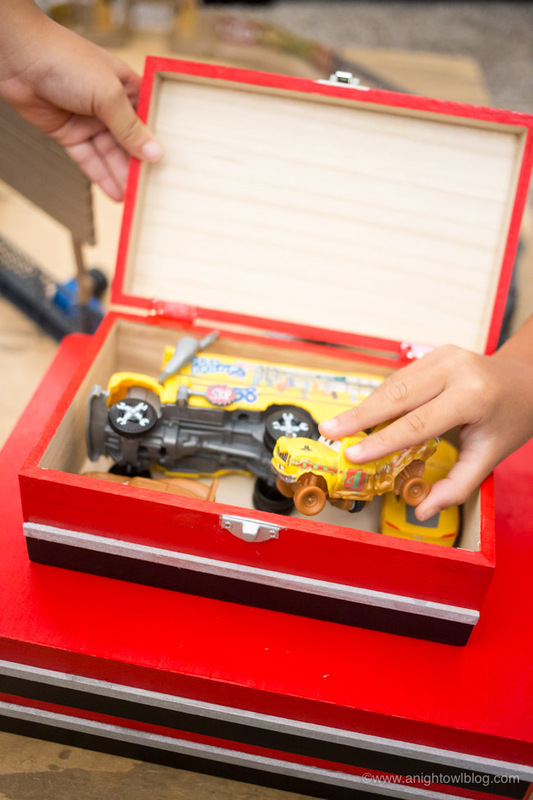 Are your kids as excited for the upcoming release of Disney•Pixar’s Cars ‏ 3 as mine are? I got to see an advanced screening of the film last night and I have to say – you’re going to love it! It reminded me so much of everything I loved in the first movie, I can’t wait to see it with the whole family. 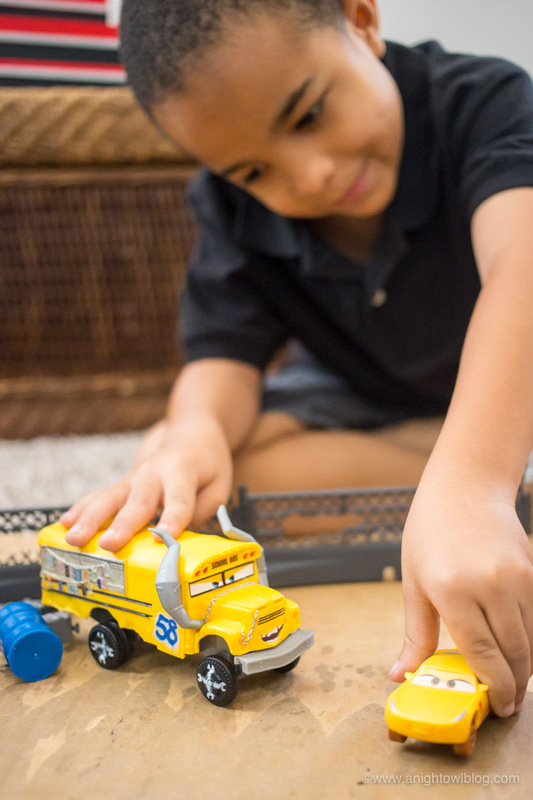 But while we’re counting down the days, the boys were so excited to get their hands on some of the new toys and characters from CARS 3, including this new Disney•Pixar Cars 3 Crazy 8 Crashers Smash & Crash Derby Playset! If you’re interested in purchasing, simply hover over the photo to click through to Amazon to purchase – easy peasy! 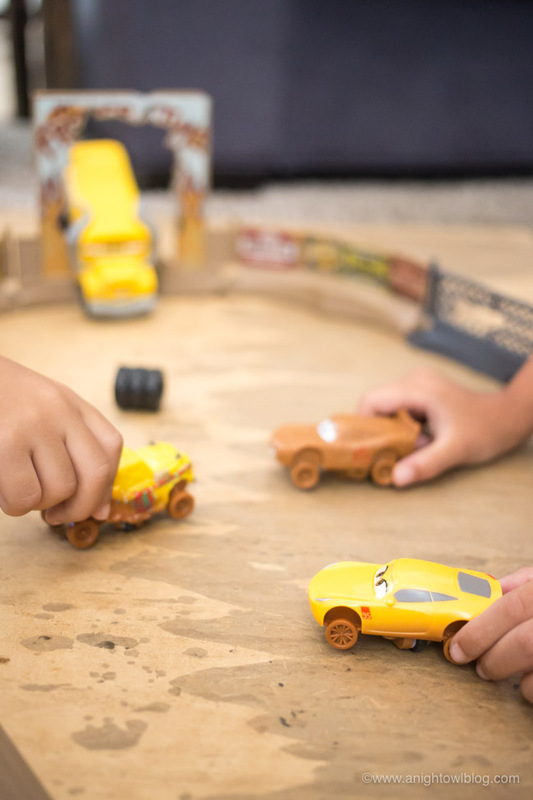 Amazon is the Ultimate Pit Stop for Disney•Pixar’s Cars 3 merchandise! 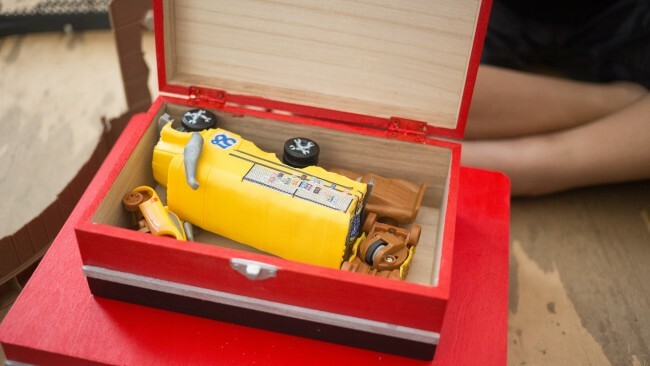 From our Disney•Pixar Cars 3 Crazy 8 Crashers Smash & Crash Derby Playset to the LEGO Juniors Thunder Hollow Crazy 8 Race Building Kit, Just Play Cars 3 Mack Mobile Tool, Disney•Pixar’s Cars 3 Apparel and Disney•Pixar’s Cars 3 Bedding – you’re going to find everything you need for your Cars loving kids! 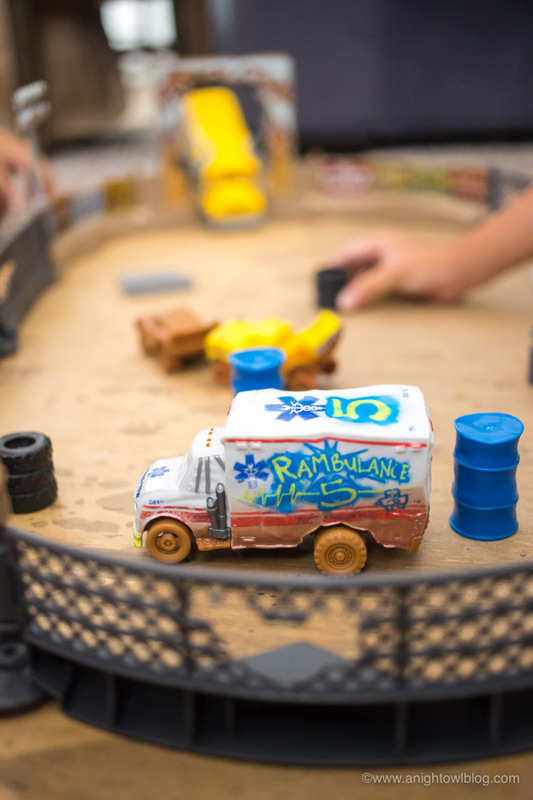 Mine were so excited to get their hands on the Disney•Pixar Cars 3 Crazy 8 Crashers Smash & Crash Derby Playset. 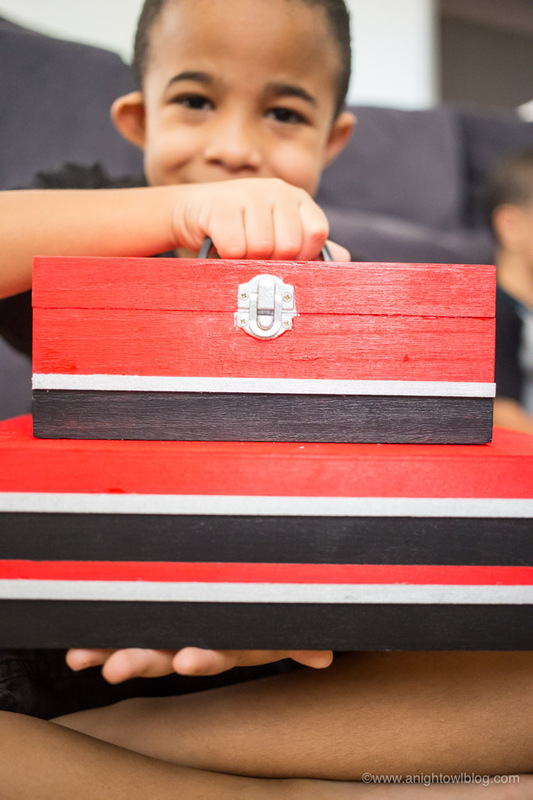 And because the playset had quite a few pieces, I wanted to create a special toy box to keep everything together for them to enjoy it for months to come. And you know what I came up with? 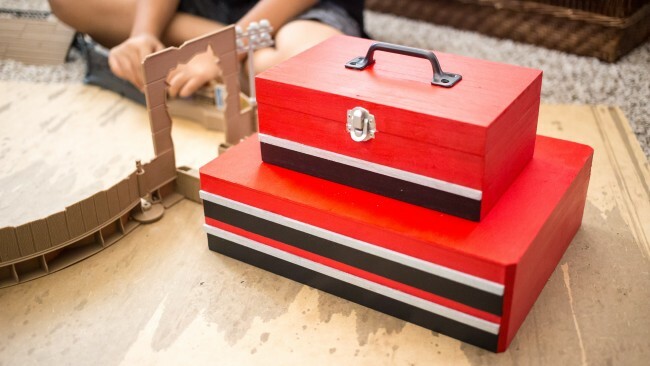 This adorable DIY Toolbox Toy Box, inspired by real life metal toolboxes! It turned out SO CUTE, one of my favorite projects to date. Let me take you through the simple steps! 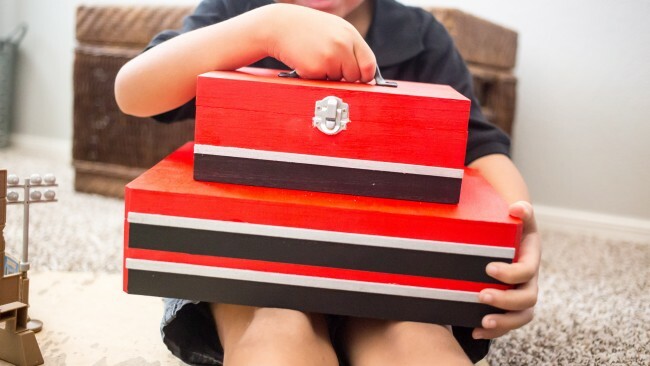 Simply paint your wooden craft boxes with the red acrylic paint. 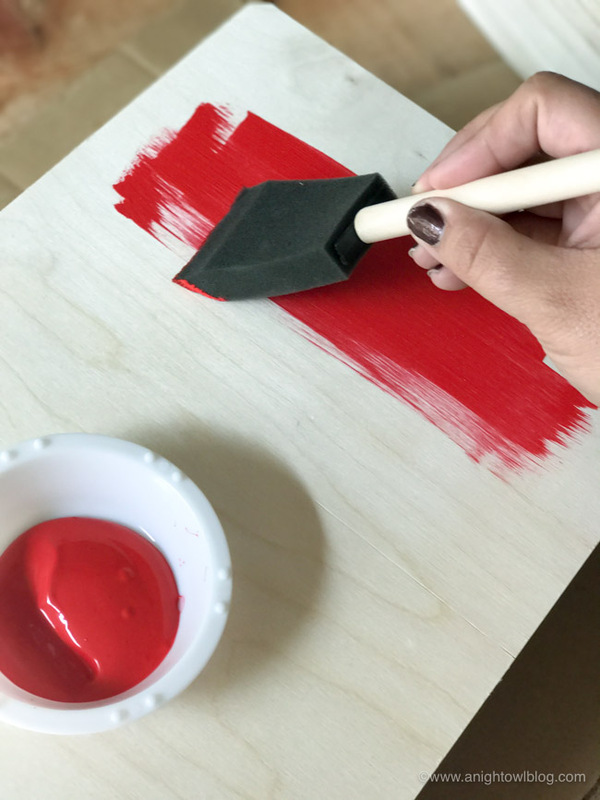 You may need to use more than one coat, but make sure the paint dries and cures before continuing. 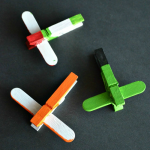 Then cut two of your balsa wood craft sticks to the length of the larger (bottom) box and one the length of your upper (smaller) box. 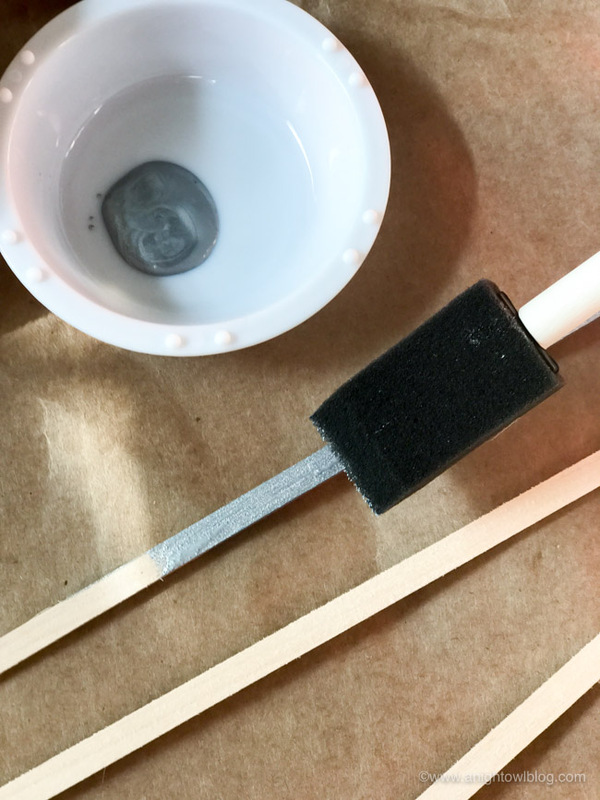 Paint the sticks the metallic silver color. 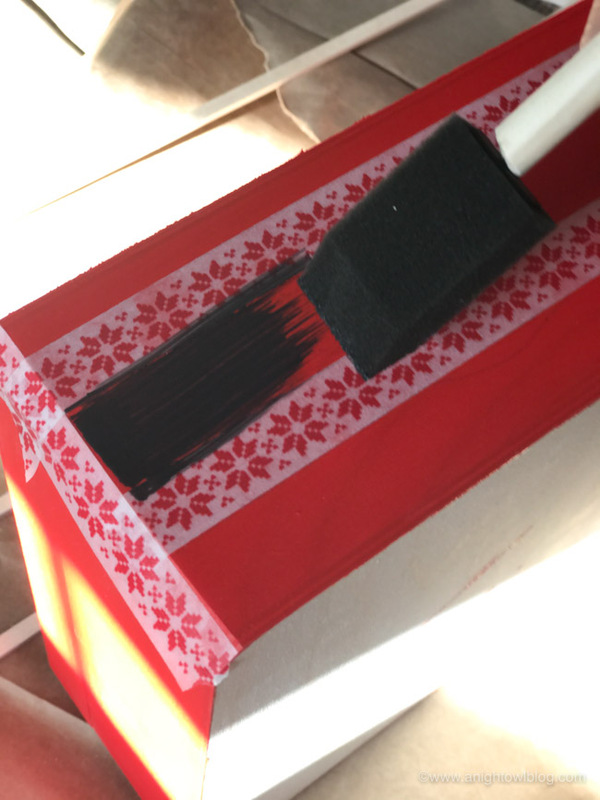 Once the red paint is dry, mark off sections of the front of both boxes you want for the “toolbox drawers”. Washi tape is a good tape to use to create clean lines. Paint the faux drawer areas black. Again you may need multiple coats for the coverage you’re looking for, be sure to wait for the paint to dry between coats. 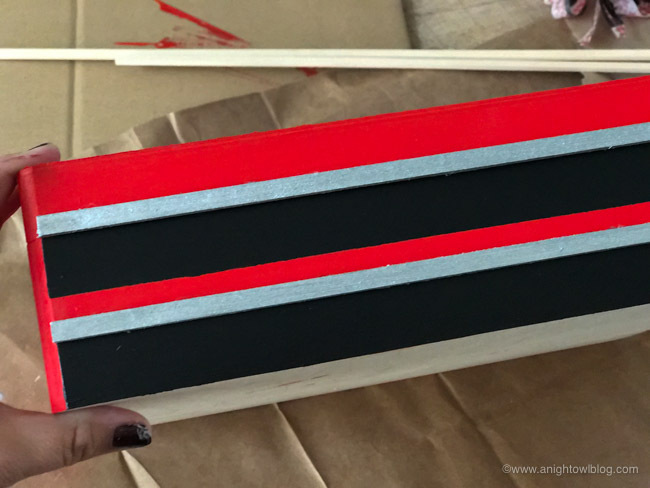 Once the paint is dry, glue the silver balsa wood sticks to the top of the black lines so that it looks like the drawers of toolboxes you might see. Do this on both the smaller and larger boxes. Then glue the smaller box on top of the larger box, in the center. Now you’re ready to add the handle on top! 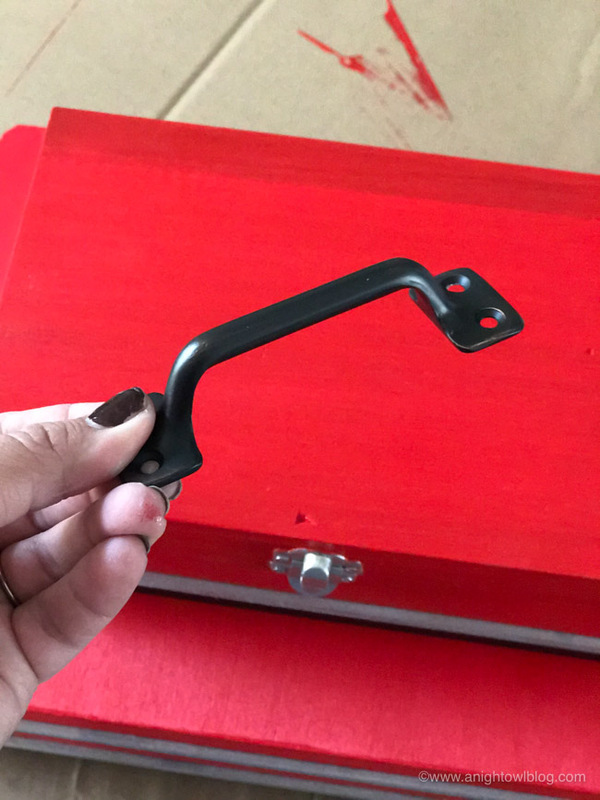 I found this cute little black handle at my local hardware store. I simply glued it to the top then once dry, added a little black paint where the screw holes were. 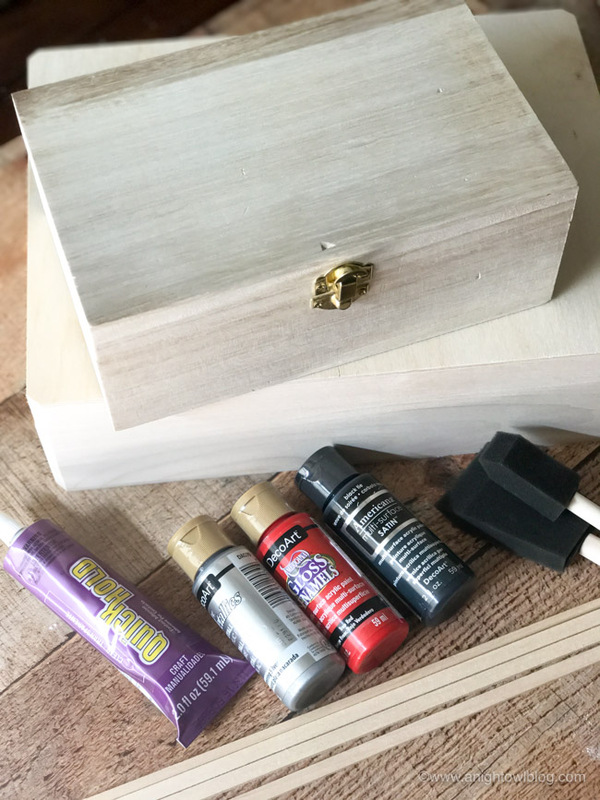 I also painted the little clasp on the smaller box with silver paint, so that it matched the balsa wood sticks. Let us all dry and cure for at least 24 hours before using. You want it to hold up well! The finished project, let me tell you, is so adorable! 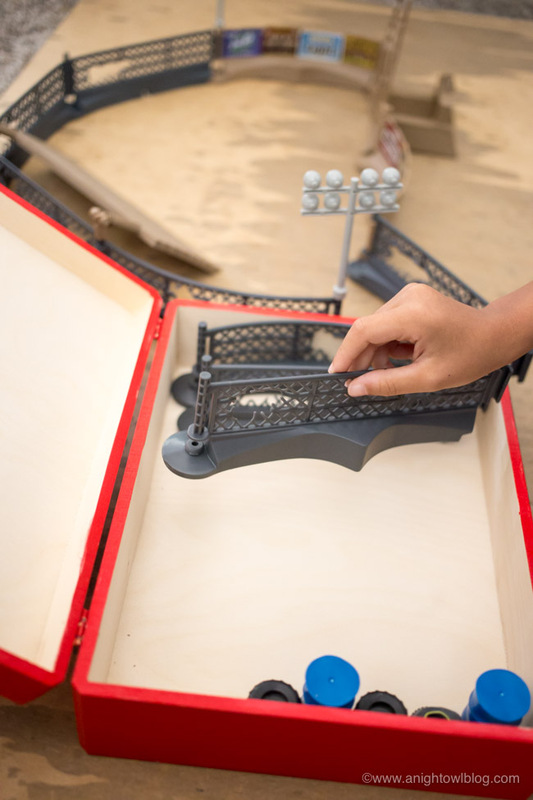 I love the two levels – the bottom box can hold all of the fencing for the Disney•Pixar Cars 3 Crazy 8 Crashers Smash & Crash Derby Playset, while the smaller top box can hold the cars. NOW IT WAS TIME TO PLAY! One thing I love about the Disney•Pixar Cars 3 Crazy 8 Crashers Smash & Crash Derby Playset is that it takes a couple minutes to put the fences together. I showed the boys how it was done, then left it up to them to get the rest of it up. They really had to work together to set it up, and they were happy to so that they could get to playing! 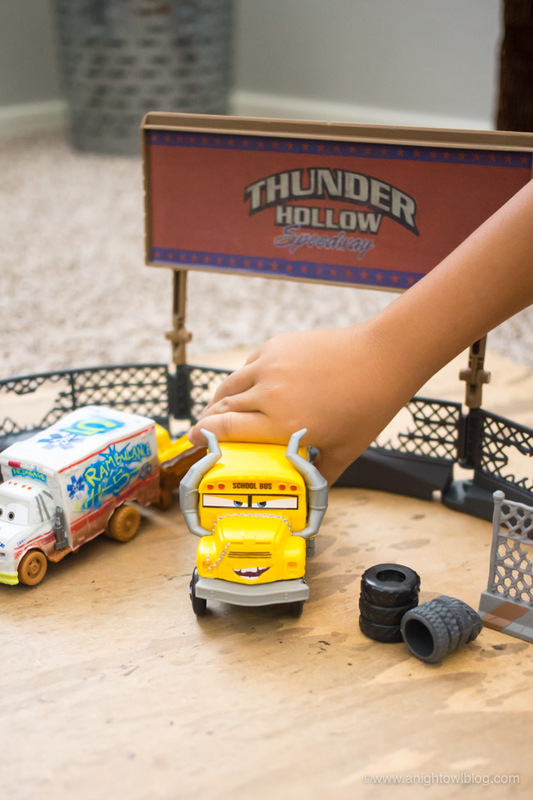 Now the set comes with Miss Fritter and a mud-covered Lightning McQueen, but we also added a couple more cars – Dr. Danger the Rambulance, Cruz Ramirez and Taco! The boys had SO MUCH fun playing! I love how starting them out working together to build the set encouraged them to work together and play together with the set. They loved every minute and I loved watching them play together and enjoying themselves! 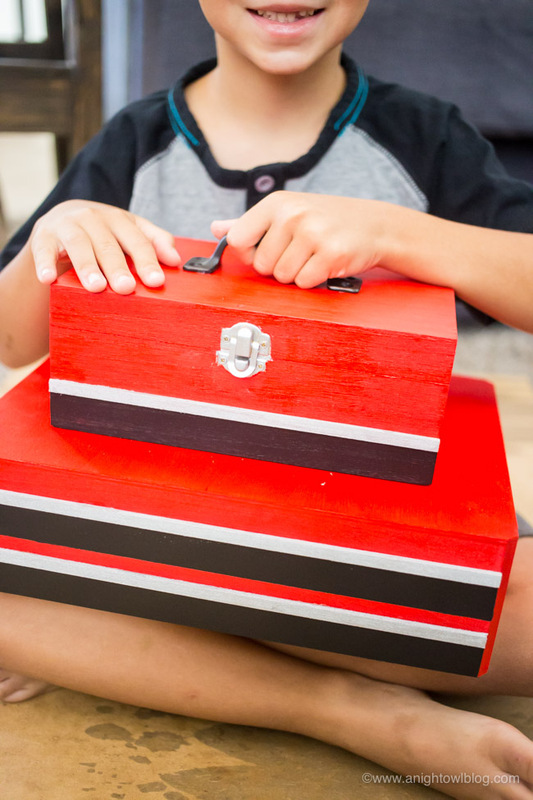 Then when it was time to put it all away, they had the perfect place for all the pieces – their new DIY Toolbox Toy Box! 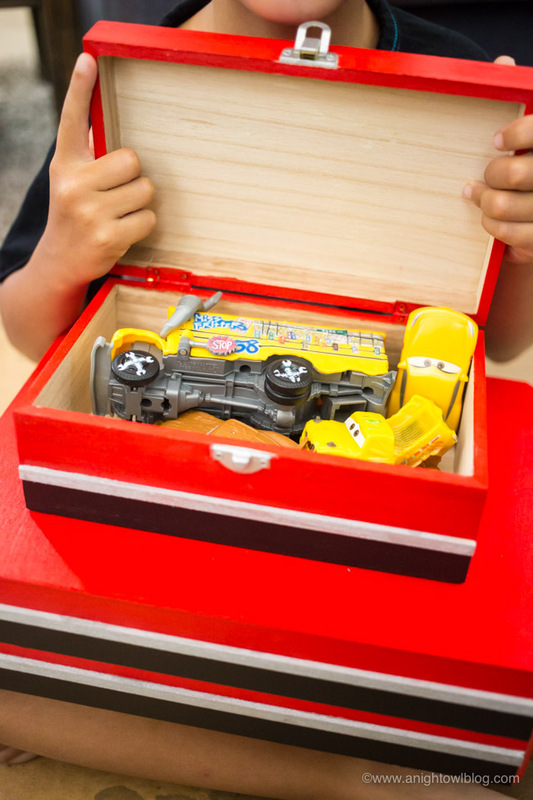 So are you ready to get the Disney•Pixar Cars 3 Crazy 8 Crashers Smash & Crash Derby Playset and create your very own DIY Toolbox Toy Box?! 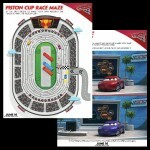 Remember to visit Amazon, the Ultimate Pit Stop for Disney•Pixar’s Cars 3 merchandise! This is such a cute and fun idea! 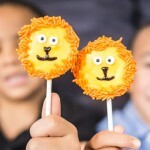 Totally want to make one for my son for his birthday! Thanks Nicky! My boys have enjoyed it!